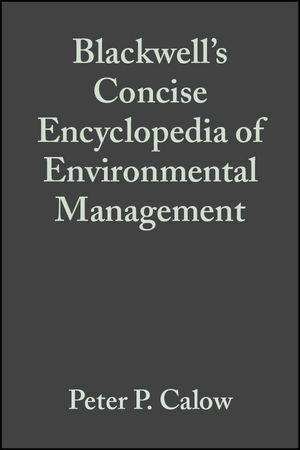 Drawing on entries from The Encyclopedia of Ecology and Environmental Management, this concise reference will provide an essential quick guide for those working in the field of environmental management: consultants, planners, environmental advisors in industry, and students. Approximately 1500 key terms are defined in language that can easily be understood by the non-expert. Key acronyms, socio/economic terms, and scientific terms are all discussed. Peter P. Calow is the editor of Blackwell's Concise Encyclopedia of Environmental Management, published by Wiley.